When a simple, unidentified equipment failure could cost the lives of millions of chicks within hours – it makes sense to have a comprehensive, reliable system in place, to minimise any ill effects as quickly as possible. SmartDrive’s™ Performance Testing Tool contributes to achieving operational reliability, greater productivity and increased uptime. The Performance Testing Tool allows hatchery personnel to quickly access incubator performance – and may be used to run a performance check on your setters and hatchers before starting a new incubation cycle. Information shown by this module allows you to quickly find and eliminate performance bottlenecks, to ensure that hatchery operations run smoothly and without interruption. 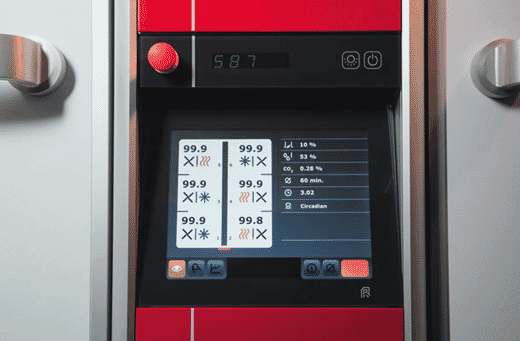 All major incubator systems can be checked simultaneously or per incubator section – enabling the operator to view in real time whether heating, cooling, ventilation and humidification of the incubator (sections) are performing as they should be.